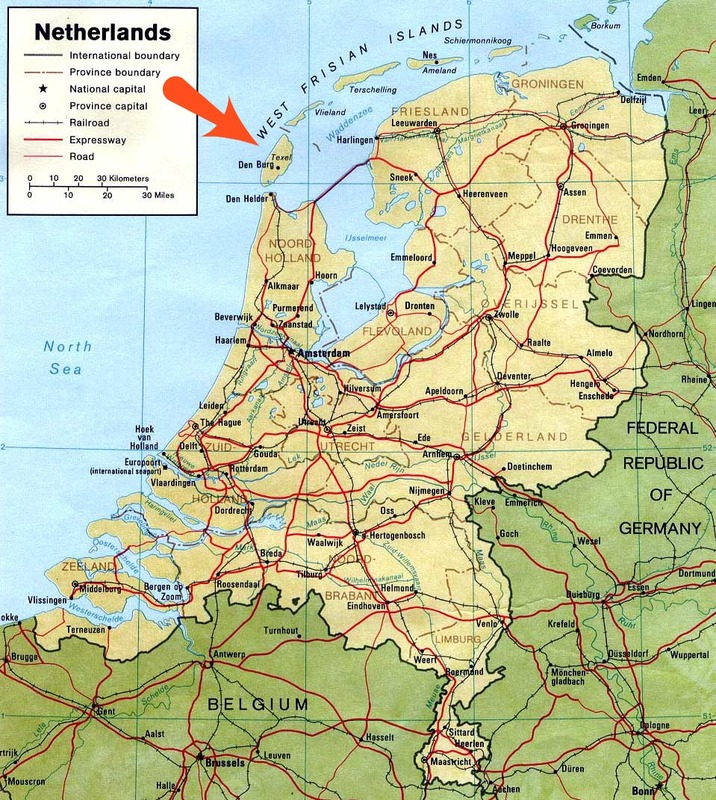 Greetings from the island of Texel (pronounced "tessel")! 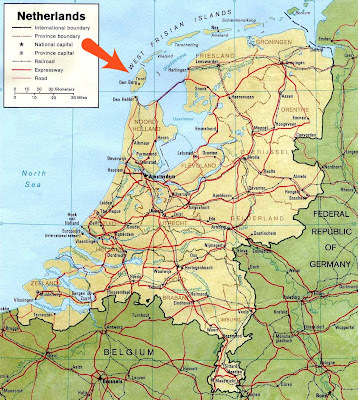 Located in the northwest part of the Netherlands, this little island is nestled in the North Sea. The parents of our Dutch daughter, Marissa, were generous enough to offer us a few days at their cottage on Texel this week. Our home sweet home for the next few days. We are settling in for our second night, but before I turn in, I thought I'd post a few photos of this beautiful island. The lighthouse at the end of the island. With all the sheep and greenery, we thought for a moment that we ended up in Ireland! This morning, we wandered through the market in De Koog. Headed down to the beach on the North Sea. We had to watch our step to avoid stepping on jellyfish. Don't mistreat it. This could be YOUR lifeline. Bikes all over the island, including many like this for younger bikers. An old church in town.